PROVIDENCE, R.I. – ECU defensive end Nate Harvey has been named the American Athletic Conference Defensive Player-of-the-Year, while wide receiver Trevon Brown and placekicker Jake Verity join Harvey as first-team all-conference selections according to an announcement by the league office Wednesday. Harvey, who is ECU’s first-ever conference defensive player-of-the-year honoree, leads the nation in total TFLs (24.0), solo TFLs (22.0), and TFLs per game (2.18), while ranking in the Top 5 nationally in sacks per game (second/1.23), TFLs yards (second/-115), solo sacks (t2nd/13.0), total sacks (third/13.5) and sack yards (t4th/-91). 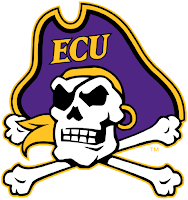 Against Connecticut on Nov. 17, he broke Chris Moore’s single-season ECU mark of 21.0 TFLs with a five-yard sack in the second quarter before surpassing Ed Oliver’s (Houston) AAC standard of 23.0 with a six-yard sack in the third stanza. 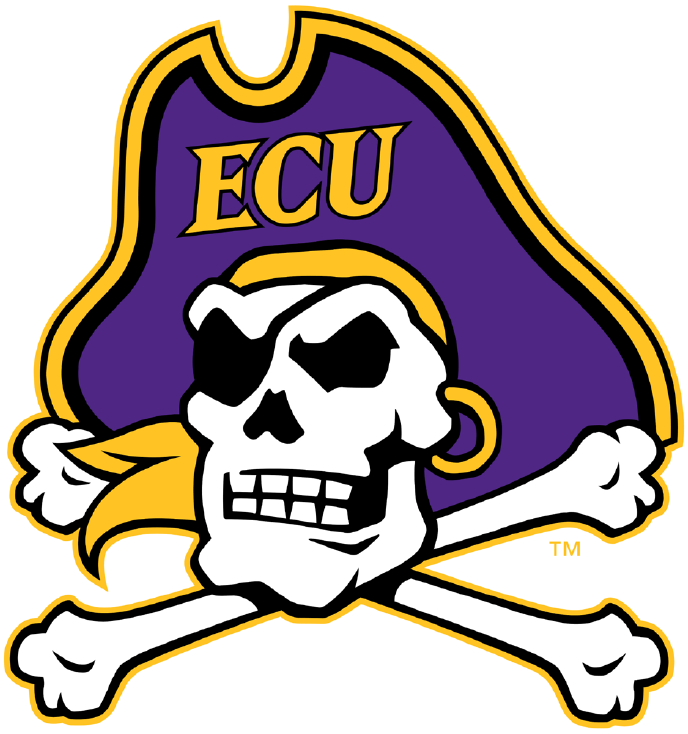 The senior from Knightdale, N.C. is 1.5 sacks shy of ECU’s single-year record of 15.0 (Rod Coleman/1997) and one short of The American record of 14.5 set by Louisville’s Marcus Smith in 2013. A second-team all-conference selection a year ago, Brown leads the Pirates in six statistical categories, which includes receptions (71), receiving yards (1,075), touchdowns (nine), receiving yards per game (97.7), all-purpose yards (1,354) and all-purpose yards per game (123.1). The Wilmington, N.C. native registered his second-straight 1,000-yard season with his 12-yard grab against the Huskies and has authored four 100-yard receiving games, amassed 100 or more all-purpose yards in a contest six times and has scored at least one TD in six of his last eight games heading into the regular season finale against NC State. Brown, who stands eighth on ECU’s single-season receiving charts, ranks among the NCAA FBS leaders in receiving yards per game (13th), receptions per game (18th/6.5), receiving yards (19th), receiving TDs (21st) and all-purpose yards per game (31st). Currently he stands second all-time at ECU in receiving TDs (24), while holding the fourth spot in receptions (186) and receiving yards (2,904). Verity earned his first career all-conference accolade after leading The American in field goals made per game (1.64) and FG percentage (90.0), while standing fifth in kick scoring (7.4 ppg). The Bremen, Ga. native is among the national leaders (Top 10) in FG percentage (fourth), FGs per game (10th) and ranks fifth in career FGs made per game (1.40) after making 35 of 47 attempts in two-plus years. Verity, who has connected on 27 of 28 PATs, has successfully made 18 of 20 FGAs and tied his career-long with a 52-yarder against Memphis. He has made at least one field goal in 10 of 11 games (multiple seven times) and was also credited with a 38-yard game-winning kick versus Old Dominion, the first of his career.